I read this article and found it very interesting, thought it might be something for you. 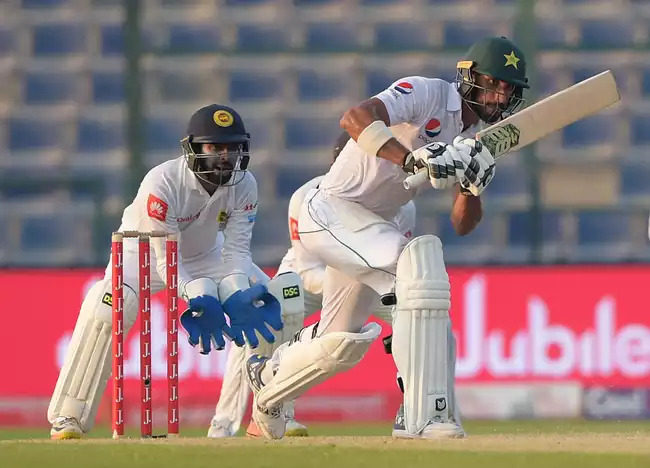 The article is called Pakistan vs Sri Lanka 2nd Test Dubai: PTV Sports live cricket streaming info and score and is located at http://www.panasiabiz.com/9934/pakistan-vs-sri-lanka-2nd-test-dubai-ptv-sports-live-cricket-streaming-info-and-score/. Pakistan will play Sri Lanka in the 2nd Cricket Test at the Dubai International Cricket Stadium (day/night) on Friday, Oct. 6, 2017. the match start time is 6:30 PM Pakistan time. The spin duo Rangana Herath and Dilruwan Perera demolished the Pakistani batting and helped their side win a memorable 21 run victory on the fifth day of the first Test in Abu Dhabi on October 22, 017. In a see-saw battle which saw fortunes swing wildly towards both sides before the Lankan’s bowlers got better and emerged victoriously. Tune in to PTV Sports official website to watch the live streaming of the match. Watch the live streaming here. Sri Lanka was the clear underdogs after being defeated by India in all formats of the game. However, the Lankans put the past behind them and gave a gritty performance to post an emphatic win with Herath getting his 400th wicket. The day belonged to Rangana Herath who like the proverbial Pied Piper had the Pakistanis dancing to his tunes. When the side set out to defend its paltry 136 runs, no one in their wildest dreams had envisaged that they would win by 21 runs. But that is cricket, especially Test Cricket in all its beauty. Rangana finished with 6 for 43 and also became the first bowler to complete 100 wickets against Pakistan. The Day 4 when Pakistan was out for 422 and both teams had played one inning each; the result was a foregone conclusion-another dry stalemate and a draw. However, Yasir Shah ripped through the Sri Lankan side and bundled them out for 138. The track started offering much assistance to spinners on Day 5, and the Lankan spinners led by Herath and Perera spun an intriguing web which gave no escape for the hapless Pakistanis. By Tea break, Pakistan was tottering at 67 for 5 with another 69 run required to win the match. The sole hope was skipper Sarfraz Ahmed, who had the acumen for a spin. However, he was tempted by a flighted ball from Herath and came charging down the track only to be stumped by Niroshan Dickwella. Haris Sohail who was the first inning hero was still at the crease at 34. He played on hitting an occasional boundary and took the target tantalizingly close to 40 runs before falling victim to Perera. His review also fell flat, and after the fall of Hasan Ali who attempted a brave sweep only to be bowled, Pakistan stood at 100 for 8. Mohammed Amir appeared to close the gap inch by inch before Herath shattered his stumps. It seemed that the match is going to end in Sri Lanka’s favor. However, there was more drama to come. Mohammad Abbas was caught at forward-short-leg, but replays showed that bowler Perera had overstepped and Abbas survived. It was left to Herath to clean up the innings when he had Abbas LBW and celebrations started in the Sri Lanka camp.